When London rapper Stormzy last made an appearance at Roskilde Festival in 2016, those present knew that they had borne witness to something special. Grime, aided in no uncertain terms by Stormzy’s efforts in the aforementioned show, cemented itself as a genre to be reckoned with in the collective Roskilde musical conscience. Fast-forward a couple of years and there can be little surprise in Roskilde’s bookers deciding to bring back Croydon’s grime maestro for a second filling. The ruckus began long before the show began, as Arena’s dusty confines filled with an army of mosh pit-ready festival-goers ready for just that – one loud, proud mosh-pit of a party, punctuated by the odd anecdote and a drop in tempo. Come showtime and Stormzy was quick to remind the audience that he’d not only had the best gig of his life at Roskilde in 2015, but that last night’s fest would be the sequel in a hopeful trilogy of gigs at Roskilde. 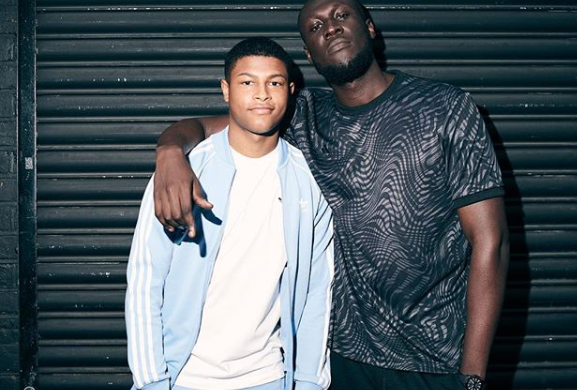 Brimming with confidence and quick wit, Stormzy thumped out belters such as ‘Shup Up’ and ‘Know me from’ – much to the delight of the partisan crowd, who he aptly baptised his “Energy Crew”. And while Stormzy did indeed demonstrate his ability to venture into R&B territory too, not least with his seething remix of Ed Sheeran’s ‘Shape of you’, it was clear that he is, at heart and by nature, a grime artist – perhaps even THE greatest grime statesman of his generation. Judging from the collective mosh-pits that this reviewer found himself flung around in, few can fault a concert of the nature and stature of last night’s show. Stormzy came, conquered and left. The dust around the Arena Stage may have settled momentarily, but grime is clearly here to stay and there is every likelihood that the Roskilde Festival will welcome Stormzy yet again in the years to come.